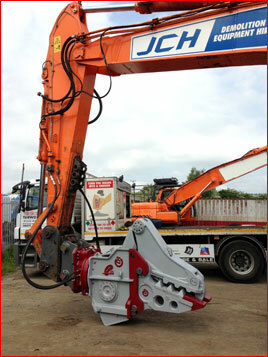 Yarwoods Excavator Attachments Ltd. is building a loyal TOKU customer base throughout the UK. Chairman Peter Yarwood added, “Customers are becoming very impressed with the performance of the TOKU brand and Yarwoods is committed to to this first class product and excellent back up service. Gilpin Demolition in Devon have just taken delivery of 4 large TOKU breakers recently purchased from Yarwoods. 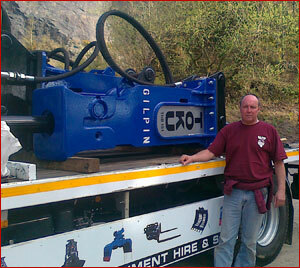 Managing Director Sam Gilpin (pictured) said TOKU Breakers are the most reliable in the Industry. 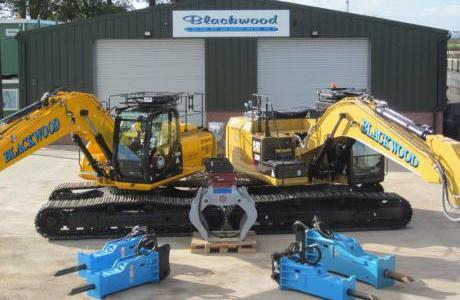 Yarwoods will be exhibiting at Plantworx 2013. As well as a full range of Toku Hydraulic Breakers, Yarwoods will be exhibiting the Kinshofer MQP30 Multi Quick Processor, D24 Selector Grab and the new Demarec D45 dedicated shear. Yarwoods will also be exhibiting the brand new Tabe Vibro Ripper. Come and visit us on stand M25 where many show offers will be available.